We may not always want to admit it, but we've all feigned Christmas excitement at another glut of socks, shower gel sets or gift vouchers for a shop that stocks absolutely nothing you want. So we should be thankful that we now live in an age where you (or ideally someone else) can pick up an Android tablet for under US$50 – you couldn't even buy that many socks with that. Read on for our pick of the best cheap Android tablets to buy now. Which Android tablet should I buy? The price guides for the cheap Android tablets below are usually for base models, so it's worth shopping around to find the particular model that's right for you – or, um, the lucky person you're buying it for, of course. We'll start off at the bottom, price-wise at least. The Amazon Fire is such a cheap tablet, it could almost be classed as a stocking filler. At US$49.99 you wouldn't expect too much in the way of high-end specs, and the 1.3 Ghz quad-core processor, 8 GB of internal storage (with microSD card support), 1 GB of RAM and relatively short battery life can't hold much of a candle to many other tablets, but the price is right. The Amazon Fire runs on Amazon's Fire OS 5 software, which is based on Android, but the Fire does not support Google Play apps and content. Instead, it integrates with Amazon's own app store. Again, this isn't the fastest tablet but what it lacks in processing speed it makes up for in stamina. It has a battery life of about 15 hours and a built-in stand that makes it ideal for watching movies or TV shows, so you could plug yourself in and pretty much go the whole of Christmas Day without talking to any of your family. At US$149.99, it costs a fair bit more than the Amazon Fire and does look bulkier than some of its competition, but the 8-inch 1,280 x 800 pixel screen makes it more than good enough for casual users. A solid all-rounder, the base model Samsung Galaxy Tab A comes in at the higher end of the budget model scale, costing US$229.99. Built from titanium and boasting an 8-inch screen, it also offers a few sweeteners such as in-app game bonuses for The Hobbit: Kingdoms, the Microsoft Office suite and limited subscriptions to publications like the New York Times. Its plastic coating makes it look fairly basic, but the tablet feels comfortable in the hand. Unlike some other budget tablets, it can handle running two apps at once, with a multi-window function available for things like Gmail and Chrome. Galaxy phone users can sync up the tablet with their phones. In terms of hardware, the tablet has a 1.2GHz quad-core Qualcomm Snapdragon CPU, 1.5 GB of RAM, 16 GB of internal storage, and a microSD card slot that's expandable up to 128 GB. Available from as little as US$74.99 for a 16 GB model, this Asus Memo Pad is much prettier and much better than it really has any right to be. It's well-built, well-designed, offers a range of colors and runs much better than you'd imagine. While the 7-inch display is smaller and not quite as impressive as those seen on some of its rivals, that does make it easier to hold in one hand. It also boasts an impressive 64 bit 1.86 GHz Intel Atom Quad-core processor with 1 GB of RAM, which explains its excellent performance. Battery life is pretty decent too. The Asus Memo Pad 7 can last for a few days of casual use on a single charge, but that will be a fair bit less should you want to watch TV shows or movies as well. The 5 MP camera is passable but not great. There's sometimes a feeling in the tech world that newer is better, but the 2013 Nexus 7 is proof that that isn't always true. While the two-year-old tablet isn't available from Google anymore, there are still plenty of places to pick up a new or re-conditioned one. The Nexus 7 is the model that set the benchmark for value-for-money tablets, with a premium build and a low price – you can now get it for as little as US$129. 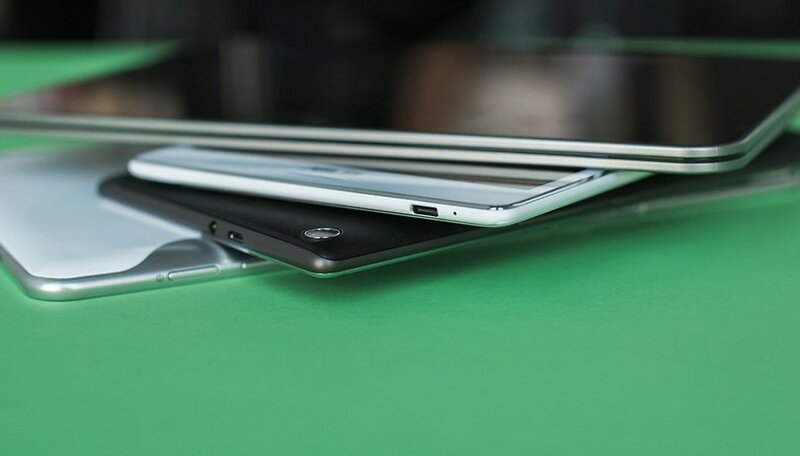 It looks good, is slim and lightweight, and has a 7-inch screen with decent speakers at either end. The Nexus 7 (2013) screen has been widely praised and rightly so; the 1,920x1,200 resolution gives it a huge pixel density of 323 ppi. Some models have a 1.5 GHz Snapdragon S4 Pro quad-core Krait processor and a memory of 2 GB. A couple of years after release, the Nexus 7 (2013) is still one of the best value tablets around. Are you looking for a budget tablet this Christmas? Have we missed any bargains out? Make yourself heard below. PROS:battery life is amazing..The $49.99 kindle fire thanks to XDA Developers made it possible to install Google Play Store on this device. Check out (troypoint) on Youtube for a very simple step by step tutorial on how to achieve this(without rooting or potentially bricking it). I don't know how long Amazon will allow this so if you have one or are getting one soon I would suggest doing it asap.I did and have had no issues.CONS:it comes with a very short cord.And the SILK browser that comes pre-installed is terribly slow.But remember,since I installed Play Store,I was also able to install Chrome which means I don't have to use the SILK browser.One more thing about it.I have a Galaxy Note4 and I use both devices on my home network and my Kindle is able to stream Showbox movies whereas my Note4 will not. Nexus 7 best value for money. Nexus 9 not bad either. They are all pretty impressive but I am very curious of the Lenovo Yoga Tablet 2. Since Lenovo are famous for making high-end gadgets and computer, we can expect more from their revolutionary tablet. Nexus 7 is a little dated but still amazing value, mine runs really well, has M6.0 which brings improved battery life, and a premium software ux that's hard to beat at any price. One more good budget tablet IMO (if available in the region) is the Mi Pad. For the price, the specs are amazing although it lacks calling feature and expandable memory.